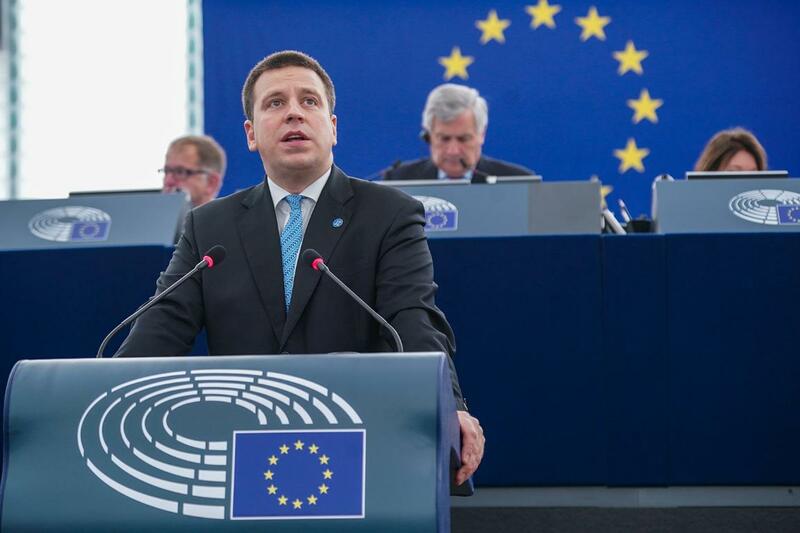 Outlining his vision for the future of Europe, Prime Minister Jüri Ratas called for unity, but not uniformity, stressing that Europe faces challenges which need common solutions. “By sharing our sovereignty and pooling our strength, we have been able to make a difference in the world. Europe’s core strength is its diversity. Nothing represents this better than the fate of small nations. Less diversity will result in less Europe,” said Prime Minister Ratas, in his opening remarks. “The key to our common future is our ability to move forward with a positive agenda. The best way to predict the future is to create it,” he said. On migration, he stressed that short-term measures bring short-term solutions. “The key is to work with third countries,” Ratas said. It is important to increase the EU’s influence in the global economy and completing the single market plays an important role in this, he said, and called for the adoption of proposals to complete the digital single market. “Security is something our citizens are most concerned about,” said Ratas. Europe’s security is not only about military spending, but also about partnerships and its role in the neighbourhood. NATO is the bedrock of security in Europe, he said, while welcoming increased defence cooperation among EU member countries. Finally, he stressed the need to fight populism and said the upcoming European elections are the perfect opportunity to speak about benefits brought by the single market, single currency, Erasmus and free movement of people. MEPs praised Estonia for its achievements and its leadership in cybersecurity and digitalisation. They stressed the importance of smaller member states in the EU, the need for a Europe that has a stronger security and defence policy and that is more capable of facing Russian aggression, and is a fairer place - a place for many, rather than only a few. While recognising the opportunities of the digital revolution, some MEPs also warned of its possible impact on social inequalities and the environment. Some also expressed concern over the direction the EU has taken and called for a renegotiation of the Treaties.